The best CRM tool is HubSpot CRM, an online solution that streamlines sales processes regardless of what channel they are taking place. It is able to track and organize every stage of your sales pipeline, manage an unlimited number of contacts, and can be customized to the CRM needs of sales teams of whatever size, business, and industry. Moreover, it is a zero-cost software that you can immediately use to jumpstart your CRM campaign and strategy. Are you in search of the best CRM tools but can’t come up with a shortlist of solutions with so many options out there? You’ve come to the right page. We all know that businesses have better chances of becoming successful if they build profitable long-term relationships with their customers. Customer relationship management (CRM) takes on this role of helping businesses achieve their goal by combining best practices, proven methods, and current technology. In this case, technology is wrapped in a software package that consists of CRM tools with various features and capabilities, all designed to help you better understand your customers and their needs. 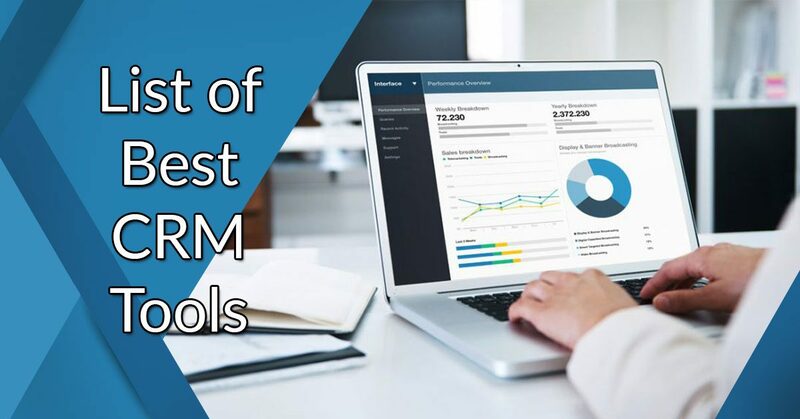 We list down 10 of the best CRM tools that were carefully selected based on their usability, features, capabilities, and other factors. These products are recipients of top scores in our reviews and high ratings in our evaluation. What are the 10 Best CRM Tools? CRM is now considered the nucleus of business, a primary driver of sales and revenues. Sales teams use it to automate sales processes, store in one easily accessible location all contact information and interaction, and solidify customer relationships. These are all important in the context of the customer lifecycle as you can see in the visual below. CRM tools can be used to permeate, influence, and affect all the phases in the customer lifecycle (see visual below) from establishing initial awareness to conversion as buying customers, up to the stage of reinforcing loyalty and winning them to your side as advocates and promoters of your business. Businesses hold such importance to CRM tools that they are now the biggest software market in the world, growing at a steady pace and predicted to top $80 billion by 2025. One way to select a good system for your needs is by tracking CRM trends and shortlisting platforms that include these modern features. Another way is to read our in-depth posts and articles, and reviews of popular CRM tools. In this article, we detail the key features, benefits, and pricing details in a list of 10 best CRM tools from which you can choose an apt one for your business requirements. We will not delve on what CRM is all about. But if you need to know more about CRM software, you can head over to our exhaustive analysis of CRM tools which tackles their types, benefits, and issues, among others. Instead, we’ll focus on the 10 best CRM tools that you can try right now. There are hundreds of CRM products and vendors out there and you would be hard put to pick the top ones. We’ve taken that task for you with this list of 10 best CRM tools so you can narrow down your choices and select the right CRM. HubSpot CRM is a free CRM tool for business that still packs a punch when it comes to robust and effective features. These functionalities include social media, customized views, company database, drag-and-drop communicator, and website, phone, and email integration. You can get started with this application quickly and need not change your existing workflow. The product offers the essential basic features and does not confuse users with complex bells and whistles. For these reasons, it is suitable for small and large businesses in any industry and niche. The software is available for free so you can easily try it out.  You can get HubSpot for free here. With HubSpot CRM, you can create a detailed company and contact profiles as the platform organizes all facts obtained from customer contacts with you. It provides a single dashboard that your team members can access to stay updated on company activities. One of the main advantages is you can connect this system to all the places where you conduct your sales process such as phone, websites, social media, email, etc. Plus, it integrates smoothly with leading business solutions such as Dropbox, SugarCRM, Pipedrive, Snapengage, Gravity Forms, Bigcommerce, Google Dynamics, Google Chrome, Base CRM and more. Salesforce Essentials allows you to track all customer details in one place so that you can nurture more leads. Then, you can utilize its main modules such as sales data, marketing automation, lead management, partner management, and contact manager to track these leads and convert them into profitable deals. One of the highlights is your team can use this app to be productive anywhere – in the office or field. The mobile apps for iOS and Android offer real-time data from dashboards as well as custom reports. We recommend you to sign up for Salesforce Essentials free trial here to explore the software firsthand for 14 days at no cost. Salesforce CRM’s Opportunity Management module provides insights on opportunities. The Contact Manager module offers a complete view of important customer details such as discussions, communications, social mentions, and activity history. With the Sales Collaboration module, you can track deals and search for competitive information. The Reports and Dashboards functionality allows you to gather data for in-depth reporting and analysis. The vendor offers five paid packages with pricing starting from $25/month for 10 users. The highlight of Freshsales is it is a single contact management system that you can utilize to control thousands of leads. The application not only offers the standard tools of legacy CRM solutions but also a few unique ones of its own. These advanced features include affiliate management, call routing, call recording, and auto-dialers. What are the top aspects of Freshsales? The platform not only captures leads but also helps you to verify, distribute, and nurture them using multiple communication channels. Your sales reps can use the email tracking tool to find out whether their emails have been opened or ignored. Another advantage is you can track previous conversations with your prospects and utilize them to plan future communication. At its core Freshsales is a sales CRM, therefore it offers complete visibility on the different stages of the sales process. The reporting functionality is excellent and you can generate both default reports as well as custom ones on each contact, opportunity, and deal. On top of that, you can count on expert 24/7 customer support provided by professionals via phone, email, and live chat. Small businesses and startups can benefit from the free Sprout plan, while pricing packages start from $12/user/month (annual billing) for the Blossom plan. Sign up for a Freshsales free trial here to get a hands-on with this software. Pipedrive is another excellent CRM tool for business and a strong contender on our list of 10 best CRM software tools. It organizes your leads in a manner that gives you a clear overview of your sales process and empowers you to focus on important deals. Plus, you can utilize this solution to efficiently manage your organization’s sales pipeline. In fact, you can switch modules on and off as per your needs without any effect on your service quality. Key features include sales reporting, timeline view, simple data import and export, contact history, and email integration. Pipedrive is an ideal option for companies that do international business as it is available in 13 currencies and supports a range of major and minor currencies. Its open API configuration allows it to blend smoothly with top business applications such as Zoho CRM, MailChimp, RightSignature, Zapier, Dropbox and more. The vendor offers a convenient 30-day free trial for its three paid packages. Pricing starts from $10/month/user (annual billing) for the basic Silver plan and goes up to $63/month/user (annual billing) for the Platinum plan. Experience how it can enhance your sales process. Sign up for a Pipedrive free trial here. Zoho CRM is yet another quality product from the parent company Zoho’s stable of popular business solutions. You can use this web-based CRM to satisfy your customers and expand your business. Core features include: lead and contact management, purchase control, sales pipeline management, sales force automation, CRM workflow management, and account management. These tools are ideal for sole entrepreneurs and small businesses as well as large enterprises. With Zoho CRM, you can track sales, automate routine business tasks, and engage customers on multiple platforms. The app converts website visitors into promising leads and imports prospects from events and external sources such as seminars, trade shows, and direct emails. The Opportunity Tracking tool shows you where the customer is in the buying cycle as well as contact history, deal size, and competitor profile. You can use this information to create targeted messages. On top of that, you can maximize your social media presence by getting contacts and leads from your social sites based on users’ behaviors. Finally, pricing plans start with the basic Standard package which costs $12/user/month (annual billing) and goes up to $100/user/month for the Ultimate plan. Sign up for a Zoho free trial here to get up to speed with its capabilities. Bpm’online CRM is a unique tool because it combines customer data with business process management tools. With this app, you can coordinate the activities of your sales, marketing, and customer support teams. It helps you automate your customer service process to exceed their expectations. Main features include administrative tools, analytics with dashboards, customizable reports, and real-time diagrams, knowledge management online library, document management compatible with MS Word, and customer data management integrated with LinkedIn, Facebook, and Twitter. What are the top benefits of bpm’online CRM? These include simplified document processing, effective analytics for measuring business results, tracking employee deliverables, supervising marketing activities and events, accurate forecasting of sales plans, viewing customers’ buying behavior, and automating and managing key business processes. One of the highlights is the dedicated Customer Success Manager (CSM) provided to help companies maximize the software’s features and capabilities. The vendor offers separate modules for sales, marketing, and service. You can combine all three modules into a single bundle and get a quote for it. Sign up for a bpm’online free trial here to learn more of its features. InfoFlo is a fully integrated, easy to use CRM software designed to help SMBs manage their contacts, business relationships, and all related information such as emails, calls, meetings, files, tasks, and proposals, among other things. It offers a full contact management solution with features for tracking, accessing, and automatically connecting all important information about your contacts and customers to view your past and present deals and interactions with them. It is able to centralize CRM data in a single location either on cloud or on your servers for quick access and easy viewing. This helps you in lead tracking and opportunity searching to find the best and most qualified leads. Other core features and capabilities of InfoFlo include email management, email editor, document management, calendar management, contact importing, integration with external apps and services, collaboration and sharing tools, virtual office, and data recovery. InfoFlo Basic is an on-premise solution and available at a one-time price of $99. A lot of add-ons are offered at separate cost. You can extend your core CRM solution by adding in nearly two dozen modules for project management, advanced search, email marketing, email analytics, call recording, invoicing, and more. You can sign up for an InfoFlo free trial here to test the software for yourself. amoCRM is a cloud-hosted, messaging-based CRM platform packed with tools for leads and sales management. It offers complete integration with messaging apps so your agents can immediately respond to and manage leads anytime from any location. It comes with an automated digital sales pipeline feature that simplifies crucial processes including lead nurturing and scoring, lead performance tracking, email integration, and sales analytics. You get an overall view of your entire sales process from the big picture down to the smallest details, allowing you to keep tab of sales health and your team to focus on sales targets. amoCRM is able to consolidate all your communication tools and channels, enabling your agents to use the tools they need at any moment. Whether through chat messaging, phone, or email, your sales team can connect with leads or reach customers through their preferred tool with just one click. All interactions and history of contact engagements are stored in a centralized feed for easy reviewing. Other tools that facilitate communication and collaboration include built-in VoIP, call recording and logging, team messaging, mobile apps, and smart notifications. amoCRM is offered in three budget-friendly monthly subscription plans. You can sign up for amoCRM free trial if you want to take it for a spin. vCita is a complete cloud solution that brings you all the tools you need to manage contacts, customers, and business process. Among its offerings are features for lead generation, email marketing, client management, online calendar and scheduling, billing and invoicing, communication, and collaboration. With one robust platform, you get functionalities to manage CRM, booking, marketing, appointments, online payment, and client communication. These capabilities make vCita an all-around solution that is ideal for small teams and professional services providers. vCita CRM gives you one app for all your client interactions. Information relating to your leads, contacts, and clients are stored in one secure cloud location that you can easily access on the go. Your team gets to have one data source on the client’s history – from conversations and appointments to invoices and payments. The CRM solution likewise lets you undertake targeted campaigns with tools like a page builder for creating landing pages and embedding dynamic website widgets. vCita integrates with over a dozen third-party apps and is available in three pricing plans starting with the Essentials edition at $29/month. If you want to explore more its features, you can sign up for a vCita free trial here. Monday.com is a popular online project management and collaboration solution used by over 50,000 teams worldwide including top brands like DHL and Philips. Its core PM capabilities are leveraged through Monday.com CRM to help you effectively manage customer relationships, track and nurture leads, monitor your sales pipeline, and organize sales tasks and activities. All these are facilitated from one intuitive and easy to use platform that can be configured to fit your workflows. It also offers visualized reports and colorful at-a-glance dashboards so you and your sales reps know where things stand when it comes to leads, contacts, and prospects. Monday.com CRM specializes in simplifying what could otherwise be complicated lead management and sales processes. It helps you easily handle sales pipelines to keep it moving forward, unify all contact information in a central database, streamline communication with contacts as well as team members, and speed up your sales with 360-degree visibility. The software integrates with a dozen external apps and services, with the option to build custom connections through its open API. It has four pricing plans with the Basic plan pegged at $25/month. You can sign up for a Monday.com CRM free trial here to see for yourself what it can do. The above are indicators that you need to apply CRM solutions or, if you already have one, that its time to replace the CRM tools you’re using. You can read our handy guide on the signs that you need a new CRM software. Having CRM tools will positively impact your business and bottom line and set you on a growth trajectory. You’ll have communication and collaboration tools to keep your sales team closely coordinated and smoothly moving forward. You’ll have all contact and customer information consolidated in one location – a “single source of truth” – that can be easily accessed by your team. You get visibility over every aspect of your sales pipeline and over every activity and progress of your sales agents. Reporting is instant. Lost opportunities are things of the past. Nothing slips through the cracks. Those and more are what CRM tools can give you. It can level up your sales processes and empower your sales teams which translate to business growth and improved revenues. You don’t even have to bother with the cost of CRM software nowadays since they have become quite affordable with cloud CRM solutions. You can even use one at no cost at all. Simply sign up for a free HubSpot CRM here. You have so much to gain with having a CRM, and so much to lose without one.